Aneita McCloskey sits in a dental chair at the COMTREA health center in Hillsboro, Mo. 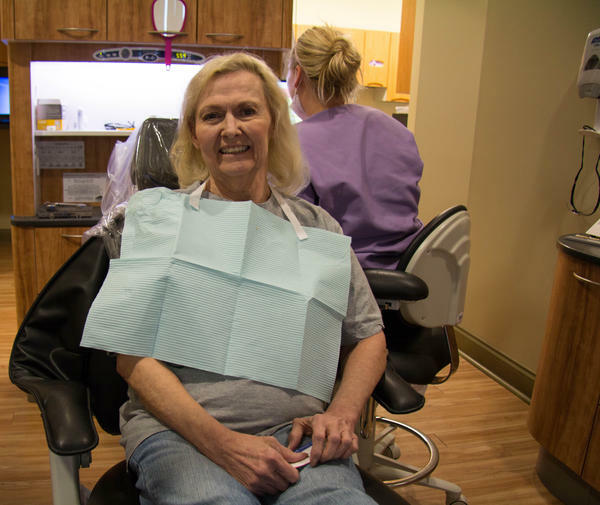 Earlier this year, 69-year-old Aneita McCloskey needed her two front teeth filed down and capped. “They were kind of worn down and they were also getting little tears and cavities,” she recalls. Without dental insurance, McCloskey is on the hook for the full $2,400 cost of the procedure. She was given 18 months to pay it before she gets charged interest. That’ll be hard to do on her fixed income. In years past she would have had to wait to see the dentist again until she could afford it. But in early April, McCloskey sat in a dental chair at COMTREA, a community health center in Hillsboro, Mo., while a hygienist confirmed her treatment plan to get a tooth pulled and a cavity filled. For the first time in 11 years, Missouri Medicaid was going to pay to have her teeth fixed. The state approved temporary funding to provide dental coverage this year. Now, that funding is in jeopardy as Missouri’s Medicaid agency goes back and forth with the federal Centers for Medicare and Medicaid Services. It’s the latest in a series of setbacks that are keeping about 282,000 Missouri Medicaid recipients without dental coverage. And it’s a demonstration of how difficult it can be for the 22 states that don’t fully cover dental care to start providing it. Missouri’s adult dental benefit was funded this fiscal year through a one-time tax amnesty for delinquent taxpayers. The amnesty raised just $35 million of the $60 million it was expected to, and for months it wasn’t clear there would be any coverage at all. Then in January, it was announced the benefit would indeed be funded, pending approval from the Centers for Medicare and Medicaid Services. Approval was expected to come in April, and since the funding was tied to the fiscal year, that coverage ends June 30. When the temporary funding-window was announced, Nathan Suter, the dental director at COMTREA, started to prepare for what he describes as a “tidal wave” of new patients. The three clinics Suter oversees are among the only dental practices in Jefferson County, Mo., that accept Medicaid. But even though they offer a sliding scale fee, Suter knows most Medicaid patients won’t go to the dentist without dental insurance. So he’s trying to reach as many as he can of the 9,000 people in the county who qualify for the new benefit. Throughout the state, there are roughly 282,000 adults who were slated to receive dental coverage through Medicaid. “We’re scheduling out into June already,” Suter says. He knows this might be the one chance in a long time for many patients to get urgent problems fixed. Suter worked with the social workers at COMTREA to find the Medicaid patients already in their system to get their cases prioritized. In February he got a grant to bring in more dental hygienists to start prescreenings. By March there was so much interest in dental care from Medicaid patients Suter added extra hours to all three of his clinics—two evenings a week and half days two Saturdays a month. How Missouri got to this point is a long story. The dental benefit was initially cut back in 2005 as part of a broader set of cutbacks to state’s Medicaid program. Across the country, adult Medicaid dental benefits have been a common target for state legislatures trying to save money over the past decade, particularly in times of economic hardship. There are “quite startling, negative consequences,” however, when states stop offering dental insurance to Medicaid patients says Marko Vujicic, chief economist of the American Dental Association. Those trips to the ER are expensive. Americans spent $1.6 billion on them in 2012 alone. And even though many of those patients will still have to see a dentist anyway, someone still has to foot the bill for the ER. For adults, the single biggest payer is Medicaid. In Missouri in 2013, for example, there were nearly 58,000 ER visits for dental complaints totaling $17.5 million in charges. $5.7 million of that was billed to Medicaid. This is a big reason states are starting to invest again in preventative dental care: to fix dental problems before they become emergencies, and before they become expensive. Missouri lawmakers tried to do that in 2014, adding funding for adult Medicaid dental benefits to the state budget for the fiscal year 2015. But to balance the budget, Missouri’s governor Jay Nixon withheld the funding for that benefit, so it never took effect. For fiscal year 2016, the state legislature funded it again, this time tying it specifically to money raised from the tax amnesty. But even that funding is now in jeopardy. “We’re kind of going on luck or wish,” he said half jokingly, “but we’re pretty assured” Missouri’s Medicaid will start paying providers. But the federal government has to approve the new dental coverage and Missouri’s Department of Social Services—which houses the Medicaid program—recently found out it needed to provide clarification before it can get that approval. Waiting for that could take up to another 90 days from April 7, basically the entire time the benefit is funded. Indeed it might not be approved until the fiscal year ends and Missouri Medicaid can no longer spend money from the tax amnesty funds. That approval hasn’t happened yet, leaving dentists like Suter who are willing to provide care for low-income patients, in doubt as to whether they will be reimbursed. “It makes us pretty nervous that if it goes much further than this, I’m going to have to have patients start paying out of pocket in the hope that we can reimburse them,” Suter says. There are two ways those reimbursements will happen and they’re both uncertain. After June 3o, though, those costs cannot be covered by the one-time tax amnesty funds. Instead, they’d have to be paid for out of next year’s state budget, which does include dental Medicaid benefits. But those still may not be approved. Governor Nixon withheld the dental benefit funds two years ago. And he has until May 6 to act on this current budget. That could decide whether dentists like Suter will get paid at all for providing treatment to low-income Missourians. Copyright 2017 WFYI Public Radio. To see more, visit WFYI Public Radio. In January, Missouri Governor Jay Nixon announced the state would expand dental benefits to an estimated 282,000 Medicaid recipients for the Fiscal Year 2016. The expansion is being funded with money collected from a one-time tax amnesty for delinquent taxpayers. This marks the first time dental benefits have been included in Medicaid coverage in Missouri since 2005. More than 1,700 people waited in line for hours to get free dental care at a clinic in Columbia, Mo. this month. 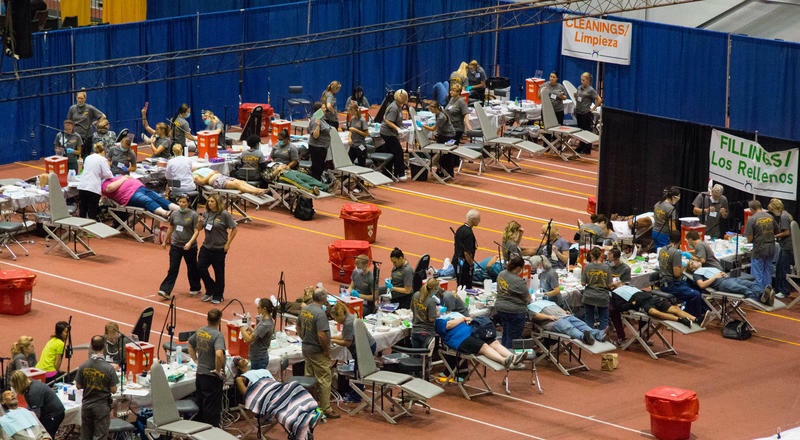 The turnout for this clinic, called the Missouri Mission of Mercy, reveals a hidden crisis: the expense of dental care and lack of access are major obstacles for many throughout the state and the country. 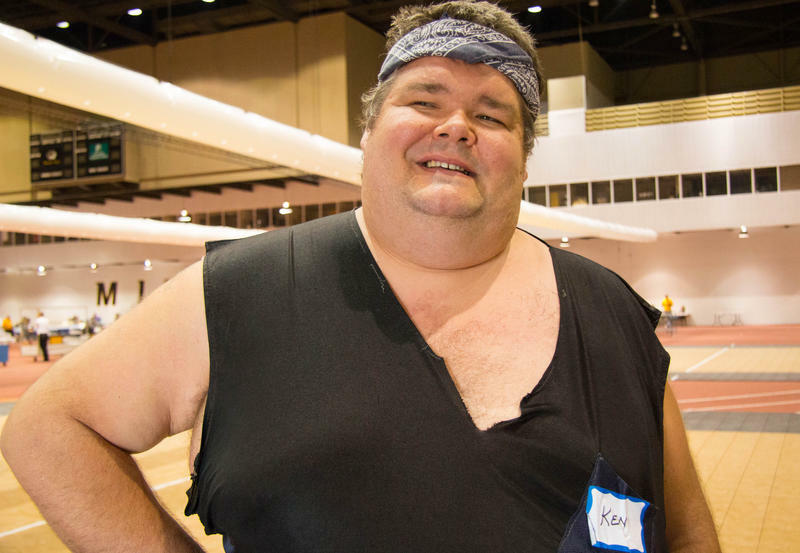 Throughout the event, held July 31st - August 1st, a team of reporters from the KBIA Health & Wealth Desk spoke to the patients receiving treatment at the event, and the volunteers who made it all possible. 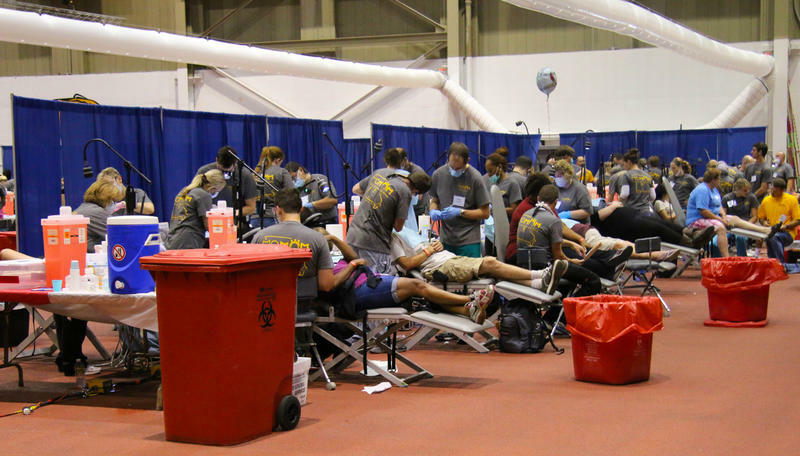 Missouri Mission of Mercy, or MOMOM, hopes to provide free dental care for up to 2,000 Missourians this weekend at the Hearnes Center in Columbia. This is the fourth year dentists, hygienists and other volunteers from across the state have come together to provide cleanings, fillings and extractions free of charge.